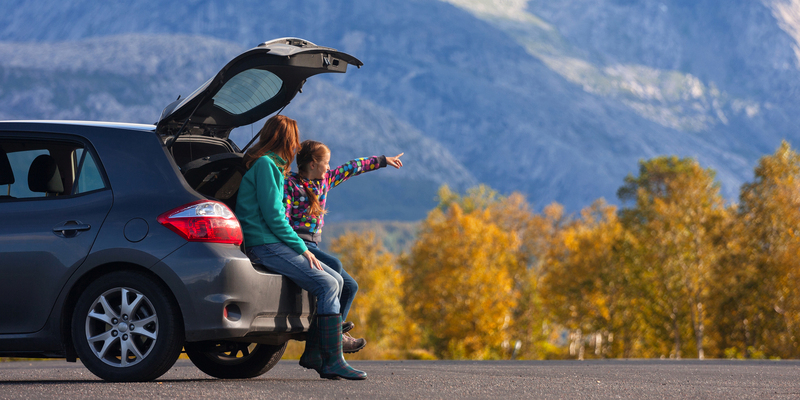 Renting a car is one of the most important factors to consider when planning a family vacation, and yet, it’s often one of the last things we think about before departing for a trip. Know these car rental tricks before you book so you can cruise through the process. Finding a good deal on a car rental is a lot like shopping for a new car—not every dealer is the same. Some have lower prices than others, and others offer different incentives to new and returning customers. The same is true for car rental services. Rather than wait until you arrive at the airport in your destination, plan ahead and compare prices online. A few notable car rental companies include Enterprise, Hertz, Alamo, Budget, Dollar, Thrifty and Avis. Additionally, websites such as Booking Buddy and CarRentals.com compare car rentals side-by-side to help you decide what’s best for your family. As with hotel chains that reward families for staying at their properties often, car rental companies also offer perks for renters. Many programs are free to join and offer discounts on car seat rentals and extra drivers. Plus, you can earn points to be used on future rentals. If you’re like most and aren’t a frequent vehicle renter, you’ll still enjoy free vehicle upgrades and front-of-the-line pick-up privileges. A few top rewards programs to consider include Hertz Gold Plus Rewards, Emerald Club, Avis Preferred, Enterprise Plus and Alamo Insiders Club. For even more savings, look online for car rental coupons. Websites like Retail Me Not offer a variety of discounts, from 60 percent off rentals to unlimited mileage offers and more. Booking a car at the airport is convenient, but be on look-out for extra fees, which are often disguised as “concession recovery charges,” or “customer facility charges,” and only mean that you are renting a car at the airport. If you want to skip this extra charge, rent a car through your hotel instead. Many hotels often offer transportation to and from the airport, as well as onsite car rental services or, at the very least, a concierge who will know where to send you to rent the vehicle yourself. The majority of rental car companies charge extra for refueling if you return the car with less gas than when you got it. Make a note of the gas gauge when you pick up the vehicle and return it with the same amount. If you don’t want to worry about this, many car rental companies offer a pre-purchase option that allows you to buy a full tank of gas upon picking up the vehicle. This option allows families to return the car at any fuel level without consequence. Also, if you rent the car for seven days, but need to return in after just three, call the car rental company. Unfortunately, your daily rate may increase, as oftentimes the policy is the longer you rent, the cheaper the rate. However, if you’re returning the car just a few hours early, the company won’t charge you extra. For parents who are under 25 years old, be aware that car rental companies often charge an extra fee per day because of your age. The additional fee varies by location and car rental company, but could average about $25 per day. Did you know most regular car insurance companies cover rentals, too? Additionally, your car rental may also be covered by your credit card company—Discover, American Express, MasterCard and Visa all have some form of rental insurance coverage. Keep in mind, however, that credit card coverage is typically secondary coverage, which means if a claim should need to be filed, they’ll cover only what your insurance provider does not. If you do not have rental car coverage through your personal car insurance or your credit card, sign up for the rental insurance through the car rental company. According to the National Highway Traffic Safety Administration, children age 12 and under may need a car seat or booster seat if the seat belt does not fit them properly—at home or on vacation. Bring your own travel car seat to avoid extra fees, lack of availability, and the safety concerns that may come with borrowing one through the car rental company. There’s no way to know for sure that the rental company has the safest car seats available for your children. If you’re flying, you may be able to check the car seat at the gate for free, too. Renting a car in another country may sound a little intimidating, but it really is very similar to renting a car in the U.S. Explore the car rental companies available at your destination airport. When reserving the car (in advance), ask if you need to obtain an International Driving Permit (IDP). Many English-speaking countries do not require IDPs, but if one is required, you must get it before leaving the U.S.
To get an IDP, visit a local branch of one of the two nationally recognized automobile organizations: National Automobile Club or American Automobile Association (AAA). Download the application online and fill it out about six weeks in advance of your trip. You can then mail it to the local branch or bring it in yourself along with two original passport-size photos, the permit fee (about $15) and a photocopy of your driver’s license. Your IDP will be valid for up to one year from the date that you receive it and it is only valid in conjunction with your original U.S. driver’s license, so be sure to carry both while abroad. In Europe, compact cars and high-end names (Mercedes, BMW, Audi) are the norm. While you can rent a van or SUV, it’ll cost you more. You’ll pay a premium for large vehicles in the Caribbean, too. Be sure to ask for an automatic transmission vehicle if you do not know how to drive a manual, stick shift car—the latter is also the norm in Europe. Note that automatic cars may come at an additional cost. Also, contact your insurance company or credit card company to see if you are covered for foreign rentals. If not, be sure to purchase insurance through the rental company—it’s better to be safe than sorry, especially in another country.